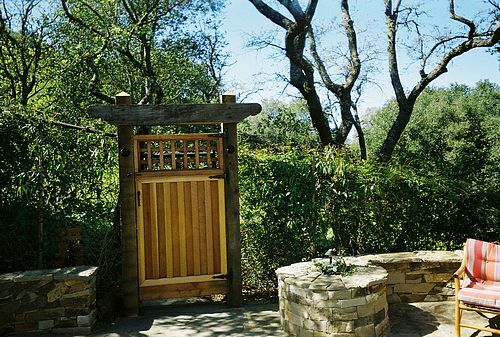 This gate was made up of various pieces of wood already existing, or lying around the garden. There is, of course, some new lumber in it but it was largely a recycle. We liked that idea. 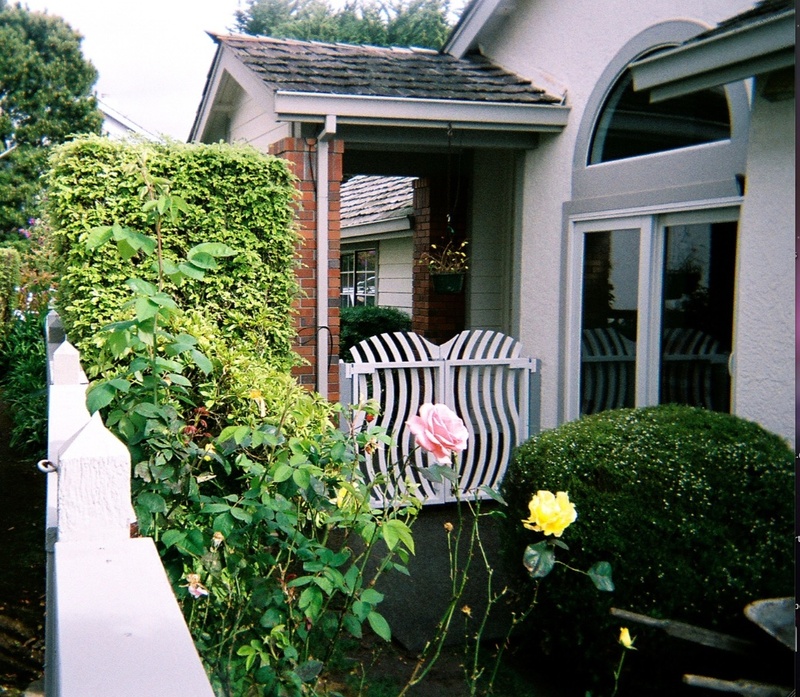 A wide gap was left below so that cats could run in from the park safely or dogs being walked could visit and sniff noses with the owner's dog. We liked that idea too. 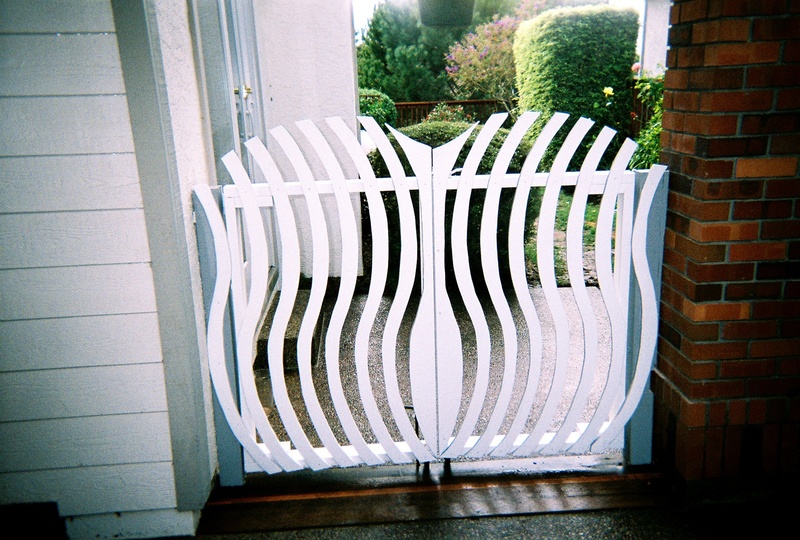 A gate with wavy pickets. Please note that this is not an original Kirby Design, it is inspired by the classical lines of a Lyre. Half Moon Bay. 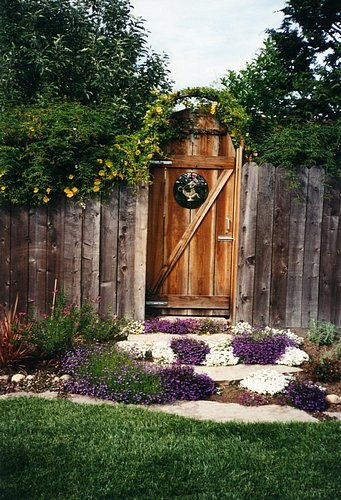 This old gate separated a family occupying two houses. Parents were on one side and (grown) kids were on the other. A very convenient arrangement. The Lyre gate in context. Half Moon Bay.